The pumpout boats typically operate Saturday - Sunday through mid-October. Since 1998, with the first pumpout boat in New Jersey, the “Circle of Life”, about1.74 million gallons of concentrated effluent waste have been removed from the holding tanks and portable toilets of boats that would otherwise have been directly discharged into the No-Discharge Zone intercoastal waters of Ocean County. This service is provided free of charge. Ocean County is committed to working to preserve and improve the environmental health of its coastal waters and of the Barnegat Bay Estuary. It recognizes the direct connection between the environmental well-being of the intercoastal waterways and the quality of life and economic vitality of the region. The pumpout boats supplement a large number of land-based units now in service in Ocean County waters. The boats have been highly successful in addressing the needs of non-marina-based boats, such as those moored in open waters or in lagoon developments. The pumpout boats typically operate Memorial Day weekend through the end of September. The boats are generally in service Friday, Saturday and Sunday until Labor Day, although days and hours of operation vary by operator. Contact the pumpout boats in your service area for more information. The boats can be contacted on the Marine VHF Radio Channel 9 by identifying the boat, its location and service requested. The boats may also be in operation on holidays and special events. There is no charge for the service. The pumpout boats usually develop a routine schedule and sometimes pumpouts can be reserved in advance. The "Waste Watcher II" is owned by the County of Ocean and operated by the Tuckerton Seaport. It services the Little Egg Harbor Bay area from the bridge southwards to the Little Egg Harbor and Great Bay waters. 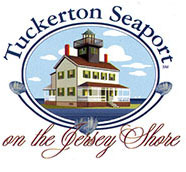 The Bay Sweeper is operated by the Tuckerton Seaport in addition to the Waste Watcher II, servicing the open public water of southern Barnegat Bay, Little Egg Harbor and Great Bay, where pumpout services have been in high demand. As the County has done with most of its boats, local schoolchildren participated in a boat-naming contest to name the boat and learn about the importance of keeping the Barnegat Bay clean. The winning name was chosen by the fifth grade classes at the Tuckerton Elementary School. In 2014, the "Bay Saver" was joined by the "Bay Defender" to service the high demand of the northern Barnegat Bay to the Manasquan River. 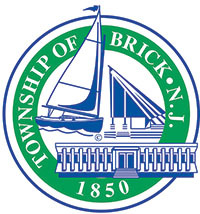 They are both operated by the Township of Brick and berthed at Traders Cove Municipal Marina, right next to Mantoloking Bridge County Park. The "Bay Saver" was purchased by Ocean County in 2003 and is operated by the Township of Brick. The first pumpout boat in NJ, the "Circle of Life," which is owned and operated by the Borough of Seaside Park, was purchased in 1998. Because of the overwhelming demand and success of the pumpout boat program, currently three pumpout boats service the high demand area of the central Barnegat Bay and as Tices Shoal. Remove the cap from the boat's deck waste fitting. When no waste is seen in "sight glass", close hose valve and remove nozzle from deck fitting. Put nozzle (with open valve) in bucket of water for 15 seconds to rinse hose. Rinse boat's tank with water and pump dry, if desired. Close valve and put away hose. Turn off pump and replace deck fitting cap. Of the seven pumpout boats currently operating in the State, the County provides the operational funds and administration for five vessels. The vessels were purchased by the County entirely with grants provided through the Clean Vessel Act Program with Federal and State funds, with the exception of the “Circle of Life,” which was purchased by Seaside Park with the assistance and support of the County. This funding ensures that the pumpout service is provided free of charge. 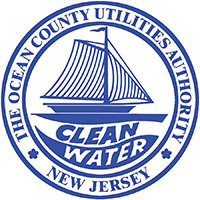 The County partners with other organizations, including the Ocean County Utilities Authority, which generously contributes half the operating costs annually. 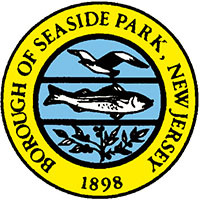 The County also participates on the NJ State Clean Vessel Act Advisory Committee and works with the NJ Department of Environmental Protection, the Barnegat Bay Estuary Program and other partners towards the goal of a healthy Bay. Established in 1994, the New Jersey Clean Vessel Act (CVA) Program uses federal grants to fund 75 percent of the cost to install pumpout stations at marinas and public facilities along New Jersey's coastal waters. The remaining 25 percent is provided by the State of New Jersey through the "Shore to Please" license plate program. As a result of the CVA, there has been a tremendous increase in the number of pumpout stations available to area boaters over the last 10 years. If a pumpout is installed under the CVA Program, it must be available to the general boating public for no more than $5 per pumpout, for at least 5 years. 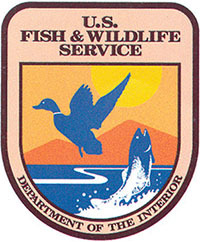 The program operates under the administration of the NJ DEP Division of Fish and Wildlife. For more information, please call (609) 748-2056. For more on the NJ Clean Vessel Act Program, all NJ pumpout boats, land-based pumpouts, ramps, and many more resources, visit the online interactive NJ Pumpout Guide at www.njboating.org. To confirm that a marina pumpout is operational, contact the marina or the Marine Trades Asociation of NJ. In June 2003, Barnegat Bay and Little Egg Harbor Bay were designated federal No-Discharge Zones. While the release of untreated sewage is prohibited within three miles of the coast, it is illegal to discharge even treated effluent in No-Discharge Zones. 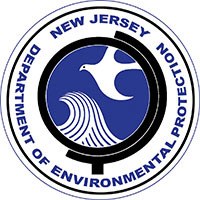 In the Ocean County area, the Manasquan River, Barnegat Bay and Little Egg Harbor Bay have been designated No Discharging Zones by the US EPA. Pumpout facilities provide the most effective means for emptying holding tanks and are critical in No-Discharge Zones. About seventy-five marinas in Ocean County now maintain land-base pumpout stations for this purpose. A majority of these were installed as a result of grants from the NJ Clean Vessel Act Program.